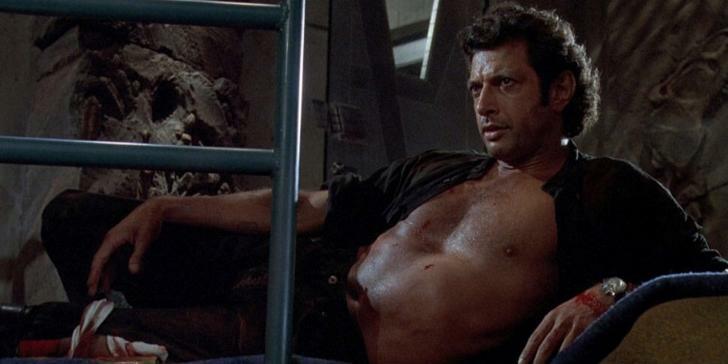 After I saw Jurassic Park as a kid, I thought Dr. Ian Malcolm, and by proxy Jeff Goldblum, was The Man. Then I saw him on Hot Ones last season, eating vegan chicken wings and talking about how his voice doctor said he really shouldn't be ingesting spicy food or some malarkey, and I was like, "This dude is a Hollywood Princess." But. 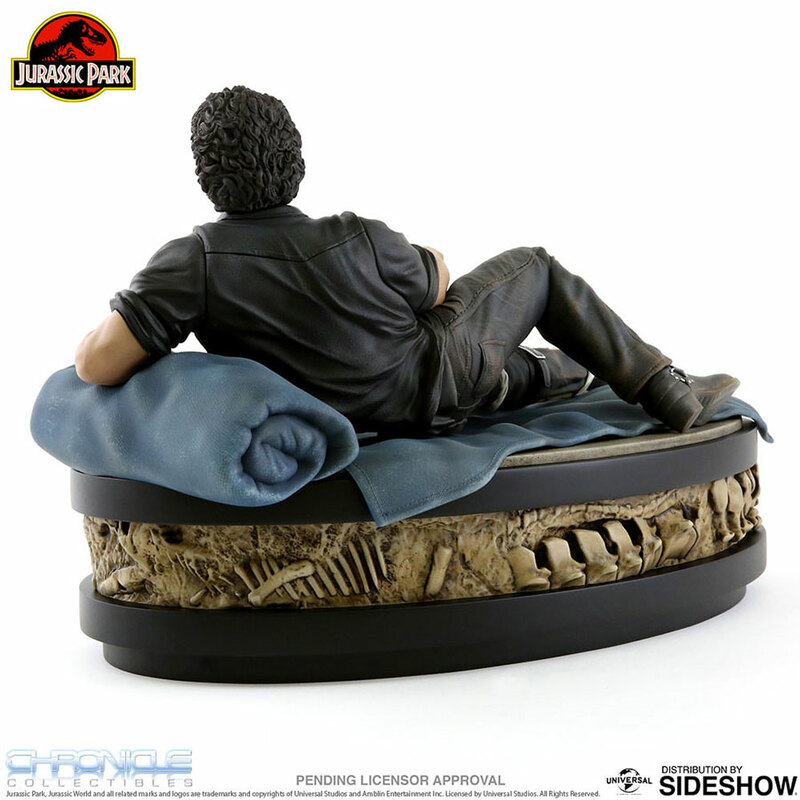 I still like what Sideshow Collectibles has done here with their Dr. Ian Malcolm statue. Oh you remember this scene. Even the non-ladies amongst you. Malcolm goes from attacked by a T-Rex to recovering like Burt Reynolds on a bearskin rug in 2 scenes flat. 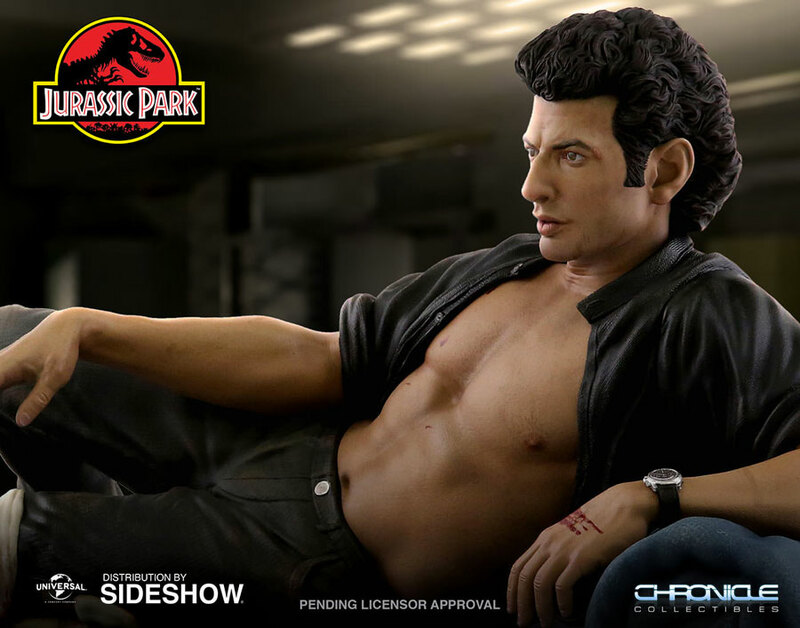 Already preserved for posterity as a meme, Sideshow is now giving Malcolm / Goldblum fans the opportunity to preserve the scene in 3D, as a 1:4 scale limited edition statue. And like all of their creations, Ian Malcolm is detailed down to the specks of blood on his (strapping!) chest and (tellingly large!) hands. 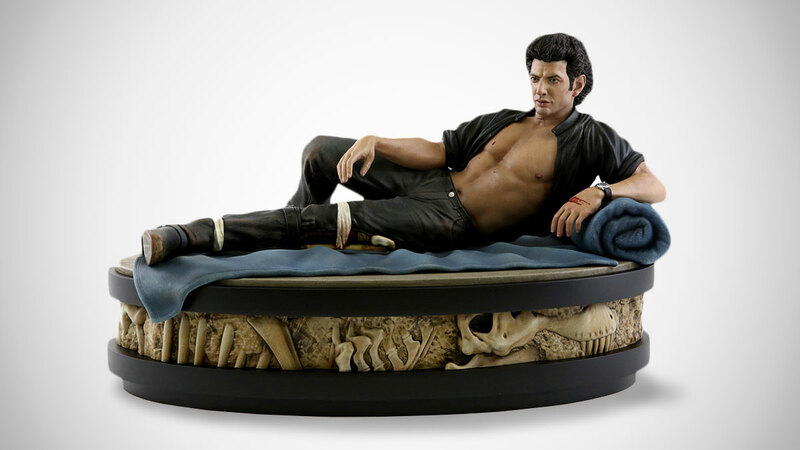 At printing the Ian Malcolm statue was available for pre-order. 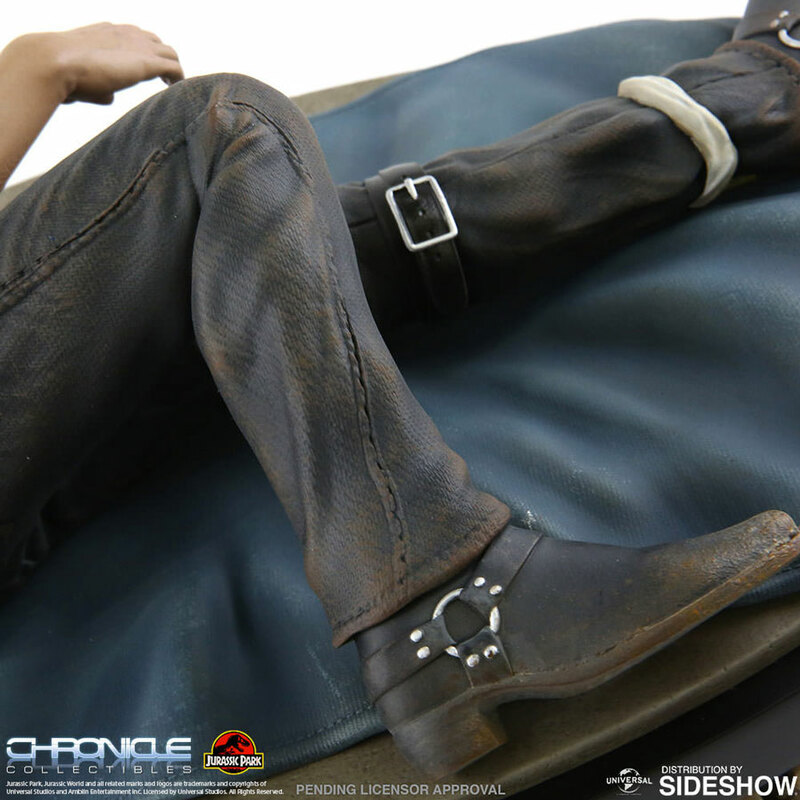 It is an officially licensed piece of Jurassic Park merchandise.